Is there anything cozier than a fireplace? Just the word alone evokes imagery of home, family, warmth, and enjoying a book with a mug of tea in front of a pleasantly crackling fire. However, in today’s world where most of us don’t rely on fireplaces to heat our homes, real wood-burning fireplaces have fallen a bit behind in popularity. 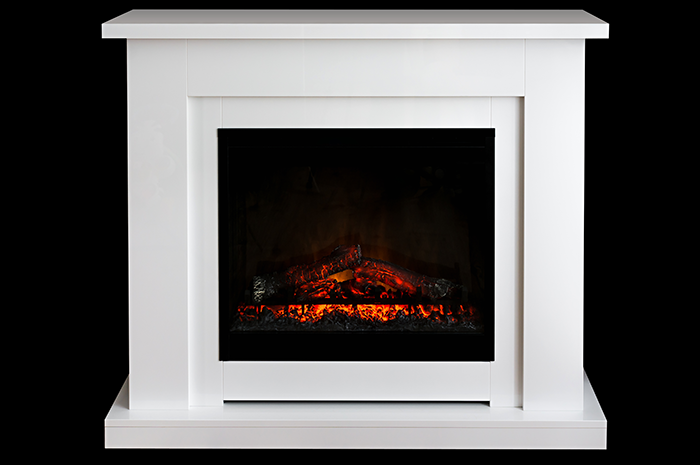 Many homeowners are choosing to go with electric fireplaces that mimic the look of a real fire. 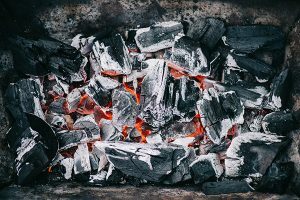 Although at first glance this may seem like the better deal: no chopping wood, no smoke, no maintenance – you might want to consider a few other factors first. Here are a few reasons why you should avoid getting a fake fireplace instead of the real thing. An electric fireplace can certainly look pretty, but you won’t get the same warming benefits of a wood burning fireplace. In the winter, when there’s a chill hanging in the air and you turn on the heater, you’ll be missing the cozy warmth coming from the fire. It’s almost a mean trick when you visit a friend and come in from the cold, gratefully sitting down in the living room and realize the fireplace isn’t real! Plus, you’ll have to crank the furnace up higher to compensate and keep the room warm – and that’s not cheap. If you’re trying to reduce your energy waste, a fake fireplace may not be the way to go. While we may currently have access to gas and electric, who knows what the future will hold? At least with a wood burning furnace, its source of fuel is renewable. In fact, depending on where you live, you may even be able to simply go outside and pick up some wood off the ground to fuel your fireplace. No fireplace is risk-free, but oftentimes homeowners assume that by choosing an electric fireplace, they’re going with the no-risk option. That’s actually not the case, as electric fireplaces come with their own set of potential hazards. Just like a real fireplace, they can become hot to the touch and cause burns, and you need to keep any flammable materials away from its close vicinity. Unlike wood burning fireplaces, you also have to take electrical precautions: keep all liquids far away and inspect the wiring for damage. 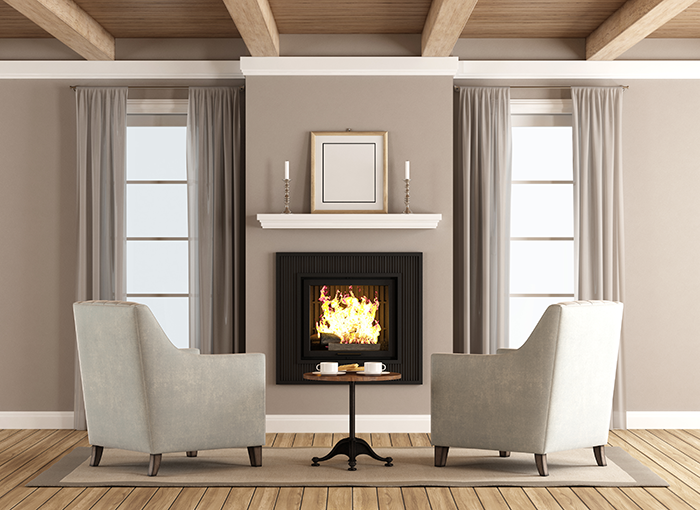 Unlike a wood burning fireplace, a fake fireplace will run up your utility bills in no time. If you’re going to have a fireplace, you want to take advantage of it and actually use it, so it’s always using resources. If you like to run it year round, or if you forget to turn it off before you go to bed, that will greatly increase your cost of use. As previously mentioned, it doesn’t cost anything to chop or pick up your own wood from the outdoors. If that’s not an option, you can get a great deal buying a load of firewood, rather than a more expensive single log at a time from the store. More than ever, home buyers are rejecting the look and feel of electric fireplaces in favor of the real thing. 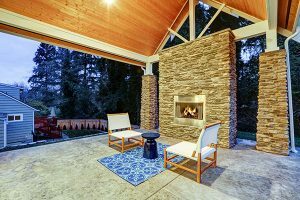 Buyers are savvier than ever and if there’s a fireplace to be had, they are demanding wood-burning. A real fireplace merrily burning away during a showing elevates the buyer’s ability to imagine themselves living there. Realtors and home staging experts have known this for years – that’s why they bake cookies and light campfire-scented candles before a big showing! They know that warm, comforting, and home-like scents create positive feelings in the buyer’s mind. A real fireplace just sets the mood. They give you something to look forward to at the change of the season, evoke nostalgic thoughts, and help you bond with your loved ones. There’s a reason that beautiful lodges, cabin getaways, expensive restaurants, and wedding venues feature real fireplaces over fake ones! Everything about the warm glow, the gentle crackling of the flames, and the scent of wood smoke work together to create a cozy and romantic atmosphere for any occasion – whether it’s a Christmas party or snuggling on the couch. Depending on your design style, you probably want to really make your house your own by adding unique details that reflect your tastes and personality. 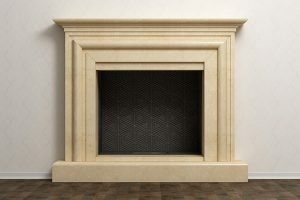 A real fireplace can be designed as uniquely as you desire, with framing, mantels, arches, and skilled masonry. A fake fireplace is certainly less expensive, but you’d have to go with whatever selection of manufactured models is available at the store, possibly ending up with the same fireplace as everyone else in your neighborhood. If you expect that a fake fireplace will get you out of occasional required maintenance and upkeep, you’ll be a bit disappointed. An electric fireplace will require that you occasionally change the light bulbs. While this task isn’t usually very difficult, you will need to cut off the power, wait until the bulbs are cool, and consult your owner’s manual. The glass will occasionally need to be cleaned, especially if you have children and pets. You can buff the glass with a damp cloth – just avoid abrasives and cleaning solutions, as they may be flammable or damage the surface. Finally, if you do have a type of fake fireplace that emits heat, you’ll need to clean and maintain the fan or else it won’t work properly. To do this, you have to remove the cover and dust the fan with a brush, using your vacuum cleaner to pick up all of the particles. Many homeowners have learned the hard way that cheaper doesn’t necessarily always mean better. Although building a beautiful new wood burning fireplace can be a bit more expensive, while a fake fireplace tends to run cheaper, cost should never be the only determining factor in designing the home you and your family are going to live your lives in. Energy efficiency, aesthetics, and comfort should always be at the forefront of decision making – after all, you’ll spend most of your time in your house. Carefully consider all of the pros and cons before making a final choice – and that includes thinking about what a potential future buyer might want. Ultimately, the decision of whether to have a wood-burning or electric fireplace will come down to taste, selection, and budget. Each homeowner has unique needs, and should be given plenty of information to base their choices on. 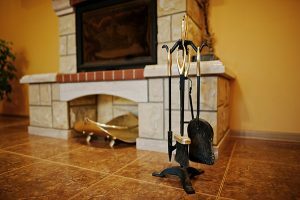 Now that you know why you should avoid a fake fireplace instead of the real thing, you can figure out what will work best for your house and your family. For all your fireplace and chimney needs, you can trust Early Times to provide the best products and service in all of Chicagoland. We’ve been helping make homes cleaner and safer for over 30 years and would love to help you with your next project – get a free quote now!